Historically this is Etruscan country. The first references to the region's wines date back to 998. In the 11th century, Ama was the beneficiary of several privileges granted by the Holy Roman Emperors Henry VI and Otto IV. The Castello di Ama later became part of the holdings of the Firidolfi family. It was destroyed during the 15th-century Aragonese invasion. In the early 18th century, the remains of the fortress were restructured into two residences, owned by the Pianigiani and Ricucci families. In his 1773 famous "Relazione sul Governo della Toscana", the Grand Duke Peter Leopold, Governor of Tuscany, describes the region of Ama with great admiration, as a magnificent area with deep winegrowing roots. The modern era of Castello di Ama began about 35 years ago with the replanting of the estate vineyard. Of the 260 hectares comprising the estate nearly 90 hectares are planted to vines and 40 to olives. This site itself is spectacular – a rounded hilltop set 1600 feet above sea level. It has perfect southern exposure and the clay-calcareous soils that are considered ideal for Sangiovese, Merlot, Chardonnay, and Pinot Noir. In 1982, management of the property was given to Marco Pallanti, an up-and-coming young agronomist who went on to become one of the most respected winemakers in Tuscany. Marco launched a ten-year research project to determine the site's viticultural characteristics. Under his direction the vineyard was divided into individual homogeneous blocks based upon soils and exposure. The goal was to identify the various micro-terroirs ensuring even ripening and optimum quality for each variety. Under Marco's leadership the Consorzio agreed that beginning with the 2008 vintage, all wines labeled with Riserva must be tasted and approved by a panel at the Consorzio. The panel is looking to keep wines lacking the quality level deemed necessary for a Chianti Classico Riserva from being able to use the term on the label. As Marco stepped away from the position of President of the Conzorzio he felt confident that these new rules would assure that wines from Chianti Classico meet quality standards of which he can be proud. For this reason, beginning with the 2008 vintage, Casello di Ama Chianti Classico, included the term "Riserva" on the label of their flagship wine. In 2011, Gran Selezione was added to the labels of their Cru wines, Vigneto Bellavista and Vigneto La Casuccia. 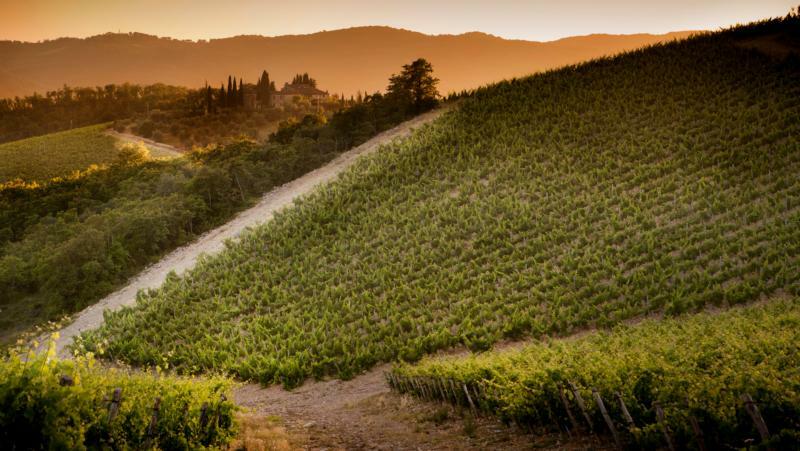 It is the obsessive dedication to quality in both the vineyard and winery that has made Castello di Ama not just one of Tuscany's greatest wine producers, but among the finest wineries in the world.